If you need a garage door repair, chances are you need it sooner than later. Garage door problems always seem to happen at the most inconvenient time. The last thing you want is to leave what is often the home’s main entrance either stuck open or ​locked shut, unable to use it. You don't have time to mess around with a garage door, and you shouldn't have to spend a fortune to get it fixed. That's why we're here to help! The good news is that you now have a friend in the garage door business - AJ’s Garage Door Service is here to help with all kinds of repairs, from broken springs, faulty openers, bent tracks or bad rollers, weather stripping or even damaged door panels. Just like you, we're hard working and honest. We arrive on time, do good work and we don't over-charge. We’re ready to help you anywhere in Tucson, but we are particularly prompt with residents who need garage door repairs on Tucson’s Northwest side including Marana, Oro Valley and Saddlebrooke. 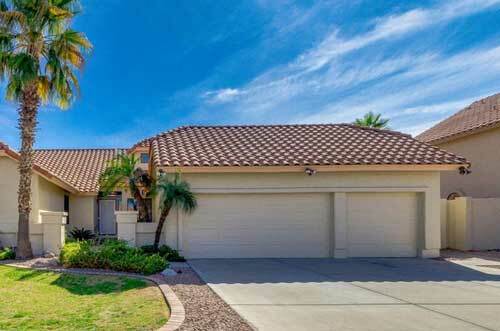 ​We Handle All Kinds of Garage Door ​Problems For You! Q: ​What is garage door balancing and why is it important? 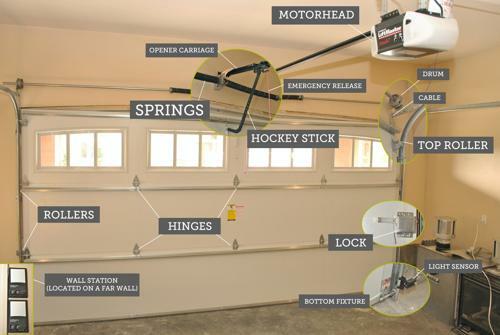 A: ​If you want to get the most out of your garage door and its component parts like the springs, cables and motors, it's important to have things properly aligned and balanced. 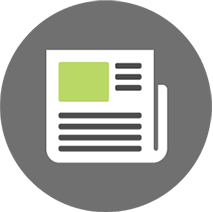 Q: ​What about garage door sensor alignment? A: ​If your garage door sensors aren't properly aligned, your door might not open and close the way it should. It's usually a quick and easy fix. Q: ​Can I install new garage door springs myself? A: ​Many homeowners are handy and like DIY projects. Trying to replace garage door springs yourself is NOT something most people should try. 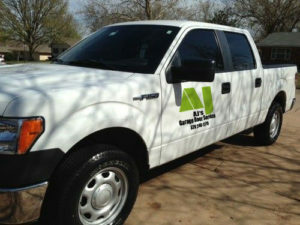 AJ's technicians are highly trained, have the proper tools and the proper replacement springs for your specific door. When you consider these springs are designed to open and close doors that can weigh over 400 lbs. many times per day, you start to realize that messing with them, especially if they're worn out, failing or in an otherwise distressed condition, can be very dangerous. Please let a professional take care of this for you. AJ's would be happy to do it, but if not us, just don't risk your own safety to save a few dollars. ​* Something else to note: When one spring breaks, we highly recommend you replace them both as they have both had the same amount of use, so the unbroken spring is very likely to break soon. Q: ​​What should I do if my garage door cable breaks? A: ​We take care of all parts of your garage door. We'll inspect and replace (if necessary, after talking to you), everything from the lift spring, lift bracket, cable, panel inges and the top roller carrier. By having these pieces working well, you'll put less stress on the opener, giving it a longer life and smoother, quieter operation. Webster defines counterbalance as a weight that balances another weight. A simple example of this principle is the seesaw. If the weights on each side are identical they will be balanced and you can easily raise or lower either side. This pulley works along the same lines. Because the weights are balanced, you can move either up or down with only the use of your finger. The same is true of this 400-pound door. It uses cables and pulleys and it is counterbalanced with a pair of 200 pound weights. It requires very little force to lift. This system follows the same principles of counterbalance the only difference is in how the door and the weights are connected. One end of each cable is attached to the door. The other ends of the cables are wound around drums which are secured to a shaft. This shaft at each end turns a second drum which supports cables that are attached to counter weights. Understanding other systems will help you understand torsion springs. Here you see a rubber band a stretched extension spring and a piece of spring steel. Each of these will stretch and bend depending on the amount of weight each supports. The point in which the object stops moving is called the balance point. The closer to the balance point the weight is, the easier will be to move the weight. Raising the object becomes more difficult as you move further from the balance point. The same is true of this garage door. It has only one balance point. The door is connected by cables on each side to the cable drums. These are in turn connected to torsion springs. The springs are wound to support the weight of the door at its lowest point. But like the objects connected to the rubberband, extension spring, or spring steel, as the door is raised it becomes too heavy to lift. A single balance point on a garage door will not work. The door weight needs to be counterbalanced throughout the doors travel. Door engineers have designed three systems for accomplishing this: standard lift, vertical lift and high lift. Most residential garage doors and commercial and industrial sectional overhead doors use standard lift counterbalance systems. This is how they work. This door weighs 600 pounds and is comprised of six 100 pounds sections. The cable drum has a 24 inch circumference, and the spring is designed so that when it is wound six turns each drum will pull 300 pounds, for a total of 600 pounds of force on the cables which are attached to the bottoms of the doors. As the door rises into the horizontal tracks, the spring starts to unwind so that by the time two sections are in the horizontal tracks, the spring only has four turns of tension and the cables are pulling only 400 pounds of force. The doors is easy to lift at this point as it was when the door was closed. When the door is raised until four sections are in the horizontal tracks, the spring unwinds until there are only two turns of tension. With only two turns of tension, the springs, drums and cables are lifting only 200 pounds. This is the same door weight that is hanging in the vertical tracks when the door is opened all the way. All the weight is transferred to the horizontal tracks and the spring unwinds completely. This is a balanced system. In reality some of the door weight remains on the vertical portion of the track, and the springs are wound an extra three fourths to one turn to hold the door open. When there is enough wall height above a door opening, another system using torsion spring that whined and unwind is used. This is called the vertical lift counterbalance system. Unlike the standard system there are no horizontal tracks to support the doorway. The weight remains the same throughout the doors travel. If standard lift cable drums are used the door will balance only at one point and it will be impossible to operate. This is because the springs unwind is the door is raised, and the drums and cables don't pull as much as the door rises. The solution is a cable drum that works much like a bike or car transmission. This vertical lift cable drum is tapered instead of flat. As it or rises and the springs unwind the cables and the drums move and grooves down the radii of the drums from about 4 inches to 2 inches from the center of the shaft. The springs are designed so that the pull on the drums and the cables always match the door weight, even when the door is completely open many turns of tension are needed to support the door weight with this lower drum radius or moment arm. When there is a lot of room above a door opening, but not enough to install a vertical lift system, a system that combines the elements of standard and vertical lift is often used. This is called the high lift counterbalance system. It uses hybrid drums that are partially tapered and partially flat. With this system the door begins rising vertically like a vertical lift door, and in the same manner the cables on the drums move in the grooves down the radii of the drums. Unlike the vertical lift system however, when the top rollers of the door move on to the horizontal tracks, the cables move on to the flat portion of the cable drums to act as a standard lift system. As the door continues its travel to the fully open position, the door continues to lose weight as the springs unwind. Standard lift, vertical lift, and high lift counterbalance systems - repairing overhead doors can be complicated dangerous. Understanding the forces at work will help you determine whether you want to attempt it yourself or not. We suggest you contact a professional garage door service company. 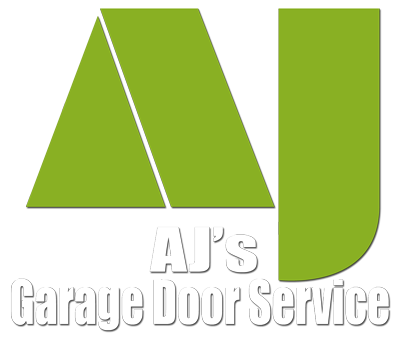 Aj's garage door service in tucson would be happy to help you. Call us today.